It is indeed difficult to capture Dubai in just a weekend as 48 hours is not a lot of time. 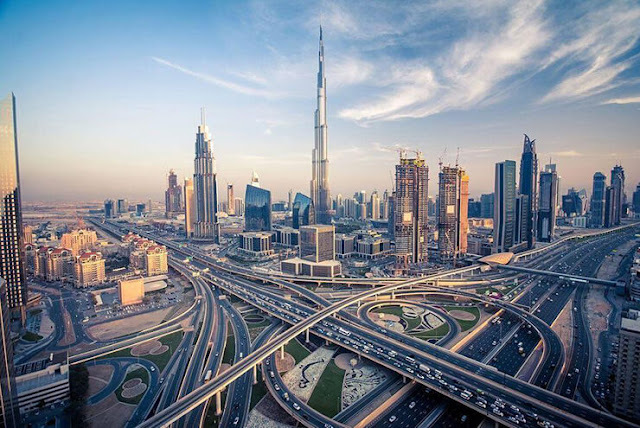 With the ever-growing number of skyscrapers, Dubai mansions and the glitzy array of glamorous hotels, Dubai has indeed emerged as an ethnically diverse metropolis that is impossible to ignore. All one needs to do is scratch the surface to uncover the authentic Emirati soul of Dubai. There is indeed a lot going on in Dubai, whether it is the art. music or food. The fast-rising gallery district adds to the arty side while ambitious indie fashion designers add to the high-end fashion boutiques. 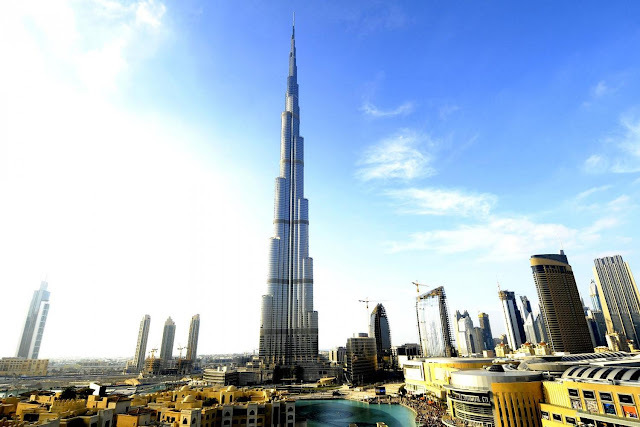 Today, Dubai boasts of world-class night-life spots and cool organic cafes. One can possibly look for every possible cuisine here with Pakistani, Arab, Japanese, American, Chinese, French, Filipino, Japanese and Persian restaurants running here. Read on to know how to you can soak up as much as possible of Dubai in just 48 hours! Start with the Burj Khalifa and rise high up to more than 2000 feet in the air. One can book the tickets online and get on those high-speed elevators that take you up those 160 stories. It is indeed a compelling introduction to Dubai’s ambitious growth. Get ready for a Bohemian Brunch at Tom & Serg Warehouse-chic style restaurant where one sees tall windows, hanging light bulbs and exposed ducts. The international and large menu offers brunch-style bites as well as Mideast-tinged sides. Later, you can go for a swim or soak in the sun, if you’re feeling up to it or enjoy Dubai Aqua Park, which is the world’s biggest inflatable water park. Head for the Alserkal Avenue that looks a lot like a Hollywood studio. The enclosed arts district offers an insight into a fascinating world with its over 20 galleries. The sleek spaces showcase Iranian and Middle Eastern artists. Many international fairs like Frieze and Art Basel have been held here. A4 is the district’s dedicated café, cinema, fashion boutique, lounge, library, and ideas incubator. The funky artists' hub is loaded with coffee shops, reading cabins and free wi-fi. Spend some time here and wander around. If you have time, you can jump out of an airplane above The Palm Jumeirah at Skydive Dubai and enjoy a freefall. Head towards the Antique Museum that is indeed Aladdin's cave filled with antiques and handicrafts from Arabian daggers. Enjoy looking at Moorish lamps, Yemini Bedouin jewelry, and pashminas. You can also visit one of the oldest buildings in Dubai, Bayt Al Wakeel that houses a maritime museum. Later you can visit Textile Souk that sells fabrics, clothes, and more souvenirs. If in a mood for some great cuisines, head for Qbara, which is an innovative neo-traditional place that offers an Arabo-Levantine-Persian-Ottoman mash-up menu in its low-lit den of sultriness. Enjoy savory delights from Istanbul, Morocco, Persia, and Syria. After dinner, you can enjoy the scene at Pacha, the Ibiza-based megaclub, and open-air bars. If you have time, you can escape the city crowds and explore the sands from which the city rose. Take a morning wildlife drive, and you can easily spot oryx and gazelles. Enjoy a Bedouin breakfast and alter take a camel ride over the dunes. Later, take a boat across Dubai Creek and glide past old dhow ships that are Sinbad-worthy. Dubai Creek is a reminder of the past and remains a popular tourist destination. It was a seafaring trading hub that was famous for fish, textiles, and pearls. Halt at Souk El-Kabeer, the bazaar that sells everything from spices to ironing boards and more. Gold Souk is just a couple of blocks away and glitters with rings, ropes, pendants, and brooches and boast of more than 300 shops that are overflowing with gold. Make a start with Kite Beach which is not only expansive but one of the most well-maintained public beaches. The beach attracts young professionals, cool kids and hipster families who relax in the golden sands along those placid waters. Later, you can take the four-hour Little India trail and come across plenty of stalls selling spicy potato bhondas, barbecued chicken, and sugarcane juice. One can snowboard in the desert at Ski Dubai or ride the infamous freefall water slide at Wild Wadi, Dubai’s iconic waterpark. One can also swim in shark-infested waters at Atlantis. 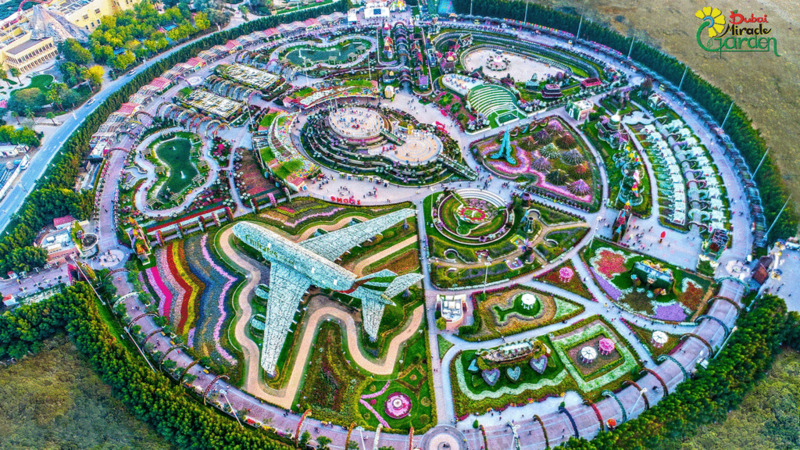 Dubai Miracle Garden is a must visit for a relaxing day outdoors. Full of intricate flower sculptures, it is indeed like entering a heavenly fantasy. Walk towards south to reach Deira Grand Souk which was once the largest marketplace in Dubai. It still bustles with crowds selling spices, perfumes, textiles, and souvenirs. One can explore Al Fahidi Historical Neighborhood area where one comes to Arabian homes with traditional winding alleys and wind towers. Depending on where you are and how, much time you have, a dhow cruise for dinner is highly recommended. This is your chance to get an intimate experience and visit the sites of Old Dubai from the. Enjoy fun live entertainment on the boats such as live music and belly dancers. When it is time for dinner, one can enjoy a great dinner in Downtown Duba as well as the brilliant views of the Dubai Fountain and Burj Khalifa. Dubai Fountain is the largest choreographed fountain in the world. If you still have more time and energy, you can walk towards the Dubai Mall and check out the Dubai Aquarium & Underwater Zoo. Disclaimer: This guest post is published in partnership with LuxuryRetreats.com.